Open the post to reply. 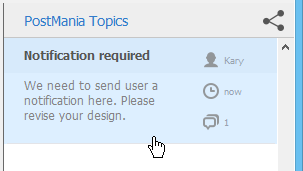 You can open it from the PostMania Topic Pane or from the notification page. At the bottom of the PostMania Topic Pane, click Follow.